Do you ever wonder what people say about you when you’re not around? I don’t. You know why? Because I’m over 40. I think that’s part of getting older. You stop caring what people think. That’s why old men wear black knee socks with white gym shoes. I happened to run out to the store the other day, and once again it happened to me. I found myself wearing slippers. Of course, it didn’t happen until I was halfway through the store. Granted they are moccasins, so I can kinda get away with it (they weren’t fluffy bunny slippers). But still. Seriously. This is why cold weather is a killer. I wear slippers all day in the house and leave without giving it a second thought. 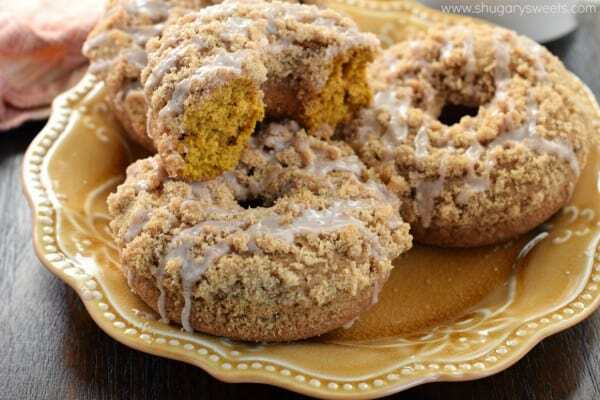 It’s a good thing when I returned from my embarrassing shopping trip I had a batch of these delicious Pumpkin Streusel Donuts waiting for me on the counter. I immediately brewed myself some coffee, kicked up my feet (slippers and all) and took time to relax. 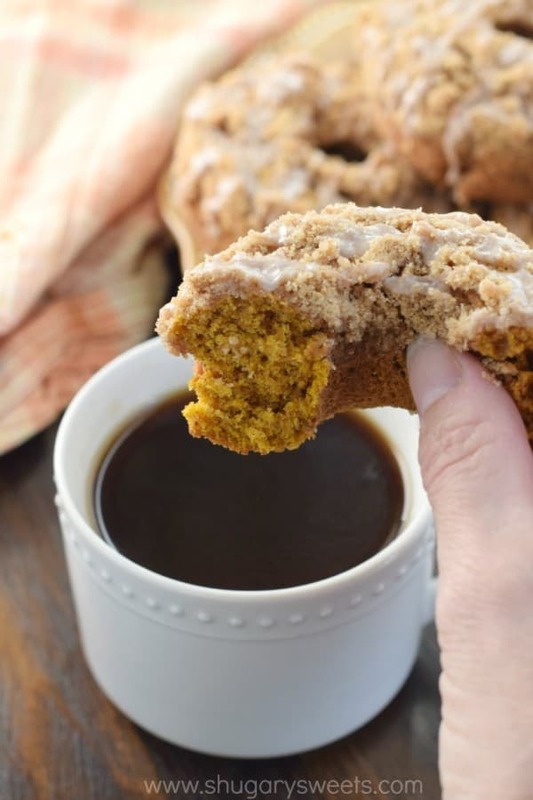 Okay, we all know that didn’t actually happen (the relaxing part)….what really happened was more like “in an effort to not think about what just happened I shoved a donut in my mouth as fast as possible, washing it down with some cold coffee that was on my counter top.” This my friends is called, keeping it real. In all seriousness though, you guys need to try making these. I used my favorite donut pan (THIS ONE) and went to work. 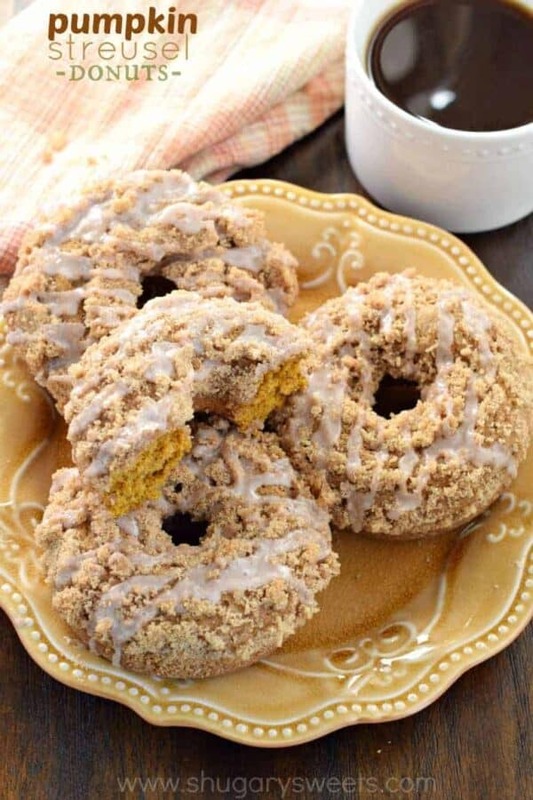 The recipe only makes 6 donuts, so it’s super easy and you’ll have them ready in 30 minutes. ENJOY! 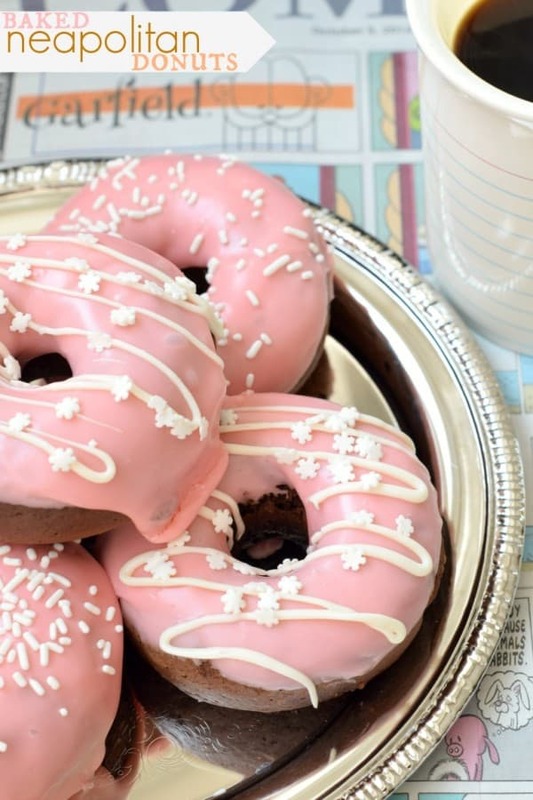 Neapolitan Donuts: chocolate baked donuts with a strawberry glaze and white chocolate drizzle. OMG! 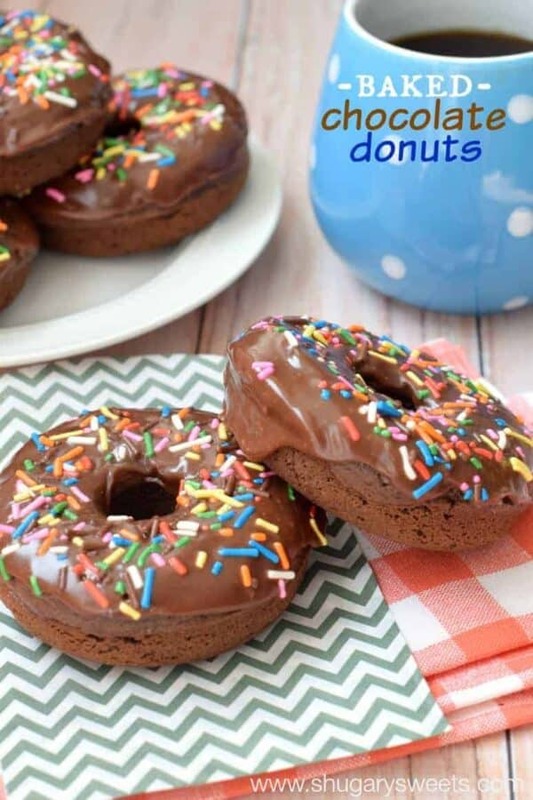 Baked Chocolate Donuts: a classic baked chocolate cake donut with a smooth, rich, decadent chocolate glaze! 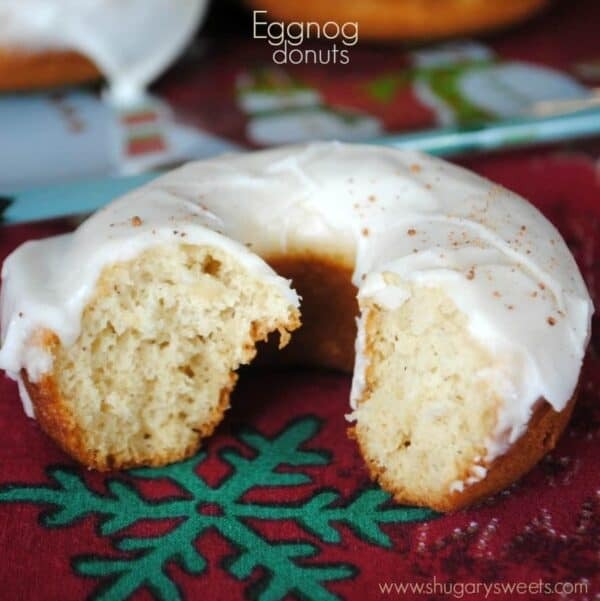 Eggnog Donuts: a classic Christmas morning treat! Once cooled, whisk together the glaze ingredients until smooth. Drizzle over cooled donuts. Allow to set about 5 minutes and enjoy! 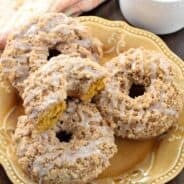 Today’s recipe for Pumpkin Streusel Donuts was originally published on Shugary Sweets on November 13, 2015 and has been republished in August 2018.